SkyBlock Map for Minecraft is one of the most interesting survival map ever. This maps is so simple to understand, what you need to do is just to survive and complete the challenges with your material. It is one of the most popular Minecraft maps and it’s such a thing for a reason, because it manages to offer a whole lot of great details and a very exciting experience all around, which is really nice for sure. 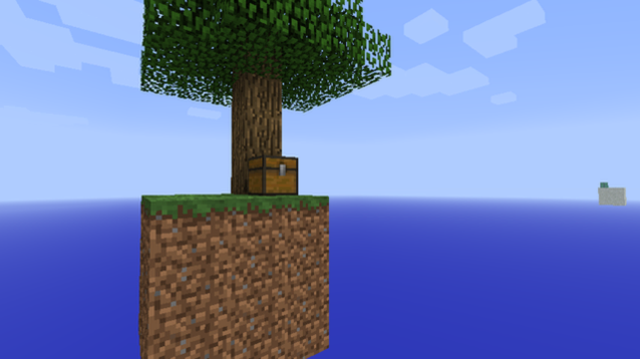 What you will love about the SkyBlock Map Minecraft is the fact that it comes with a very simple idea, you are stranded on a very small island with a single chest and a tree, then you will have to expand the game world in order to survive. It might sound easy at first, but the map does require a lot of attention and work from your side, as it can really bring you great results in the long run. The overall experience is very refined and it’s filled with possibilities, because SkyBlock Map does place you in maybe one of the ultimate survival solutions out there. It’s a lot of fun to play this great map, and you do get plenty of cool opportunities from playing it which is really nice all the time to be honest. The floating island concept does manage to deliver some great options for the title, but since this is the original map, this map is very basic. Don’t think about the size though, as it does come with just about all the ideas that you might want from the entire experience, and that will help you quite a lot as you play. The more time you invest in it the more interesting it becomes, because you are free to modify the experience as you see fit. It’s a really exciting way to play and one that manages to offer a great variety that will be much appreciated. Each time you start the map you will have different challenges, all of which will progress depending on your gameplay. Of course, the game will become harder and harder, with quite a lot of challenges coming as you progress. 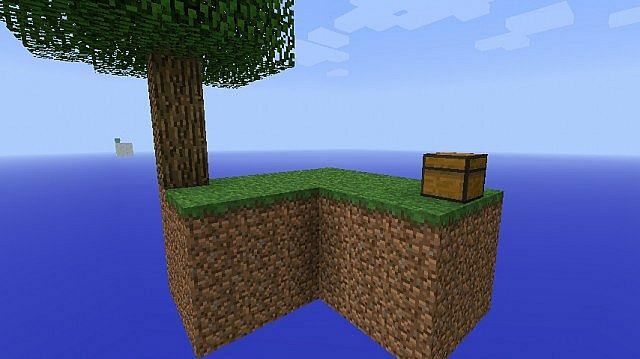 It will be very hard to play at first mainly because it’s difficult to determine how you can fit everything on the island, but the SkyBlock Map it’s a pleasure just because it manages to offer a ton of cool ideas. I destroy sand island…. And all things in chest…. Creeper!!!!!!!!!!!!!!!!!!!!!!!!!! It’s simple, open to lan and put the cheats on.